Alto K10 savings up to Rs 40,000 and Waganor savings up to Rs 50,000. Get additional offer of Rs 5,000 on purchase between 4th to 30th June 2016. Celerio AGS savings up to Rs 55,000. 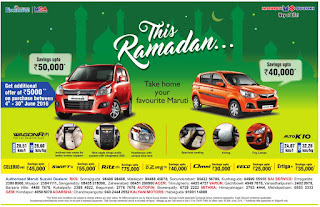 Ritz(D) savings up to Rs 75,000. Dzire savings up to Rs 40,000. Omni savings up to Rs 30,00 Ecco savings up to Rs 25,000. 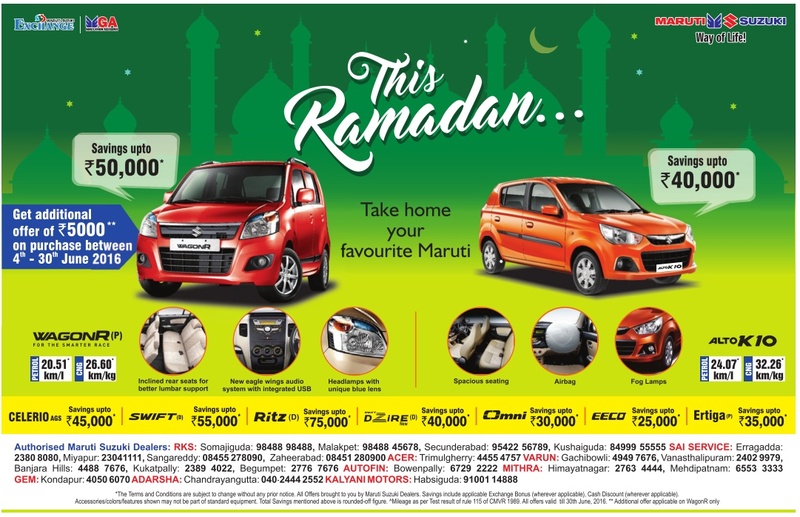 Ertiga savings up to Rs 35,000.